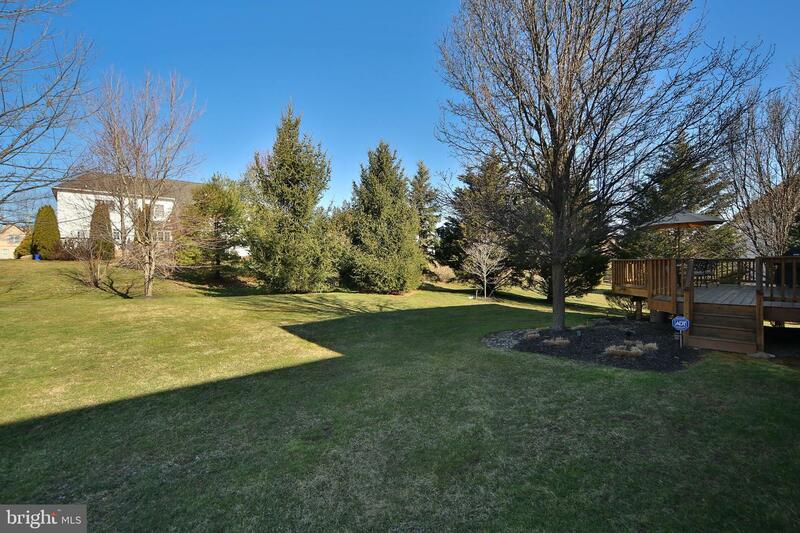 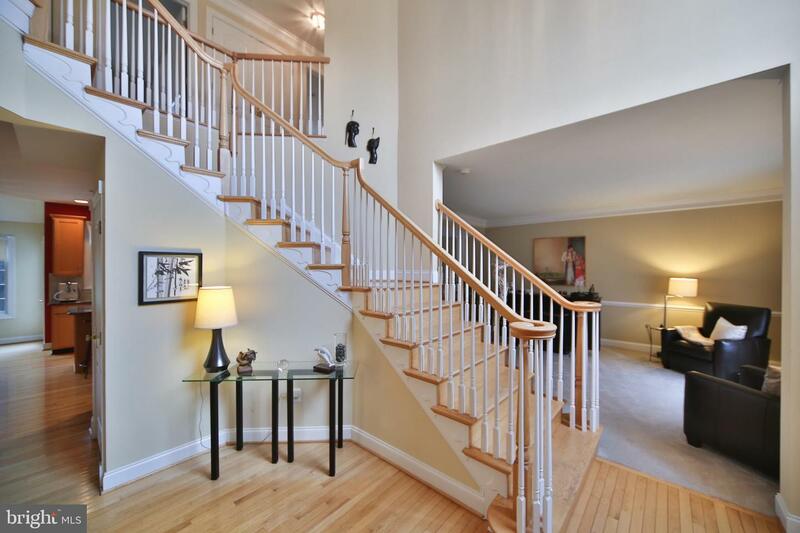 A perfect~10~, this popular Columbia floorplan awaits you! 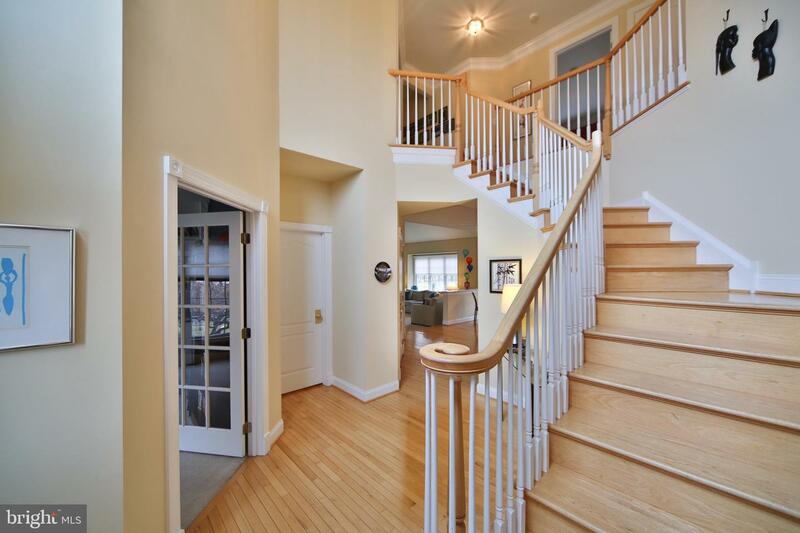 Natural hardwoods greet you when you enter this home! 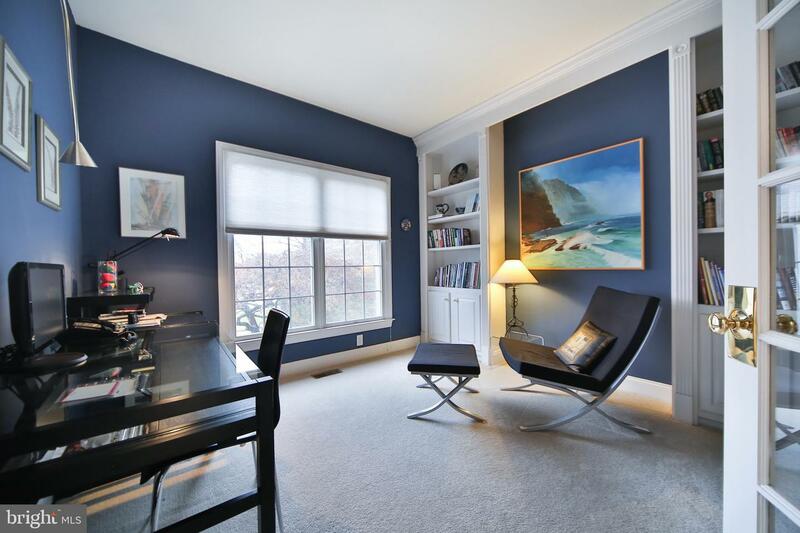 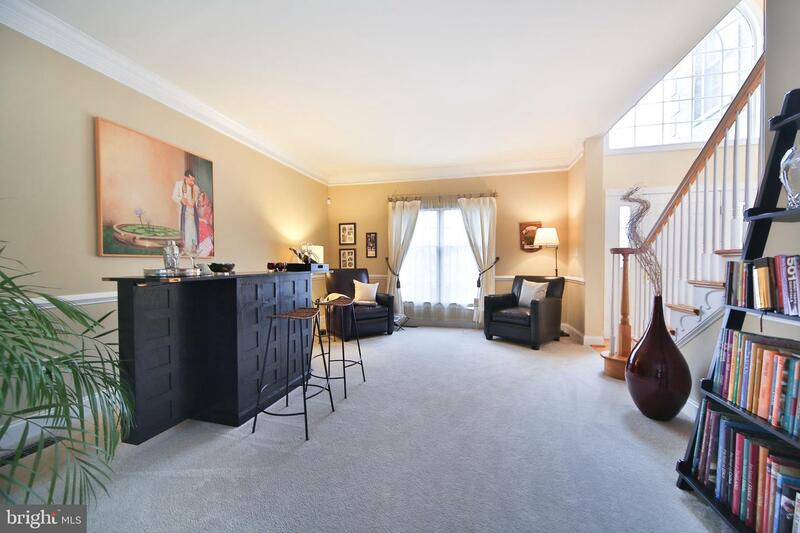 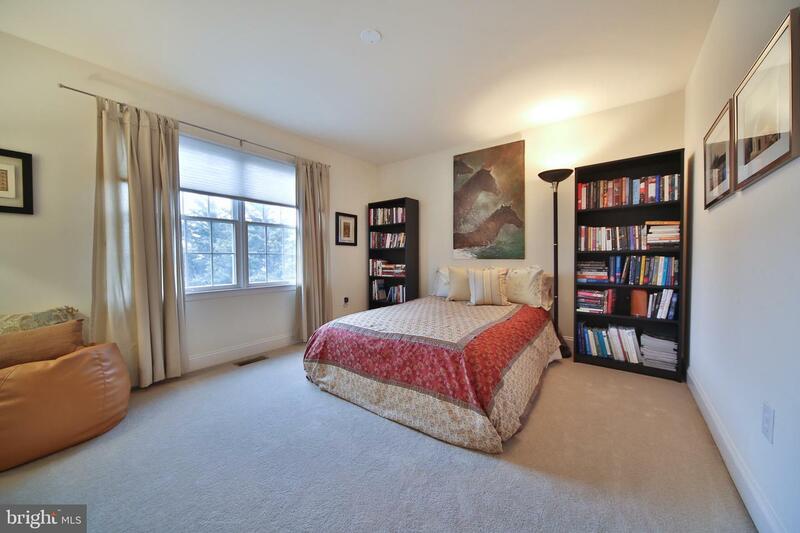 Glass French doors lead you into the attractive in home office, off the foyer, featuring two built-in bookshelves! 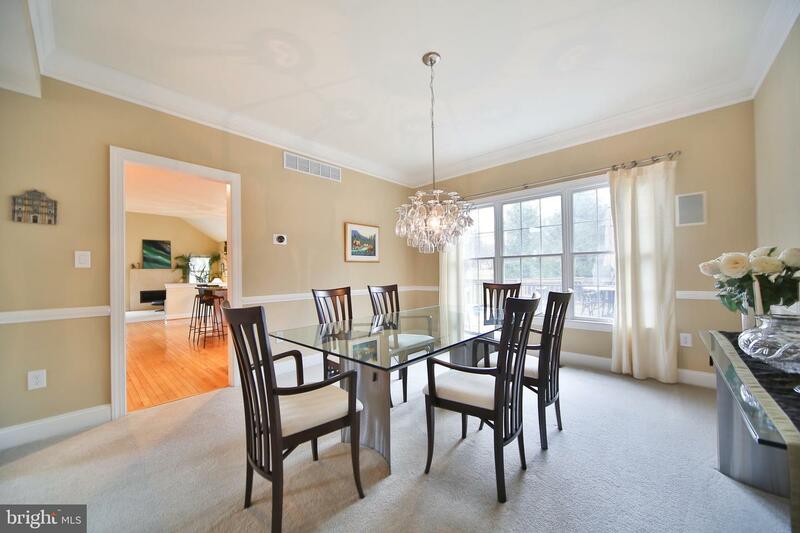 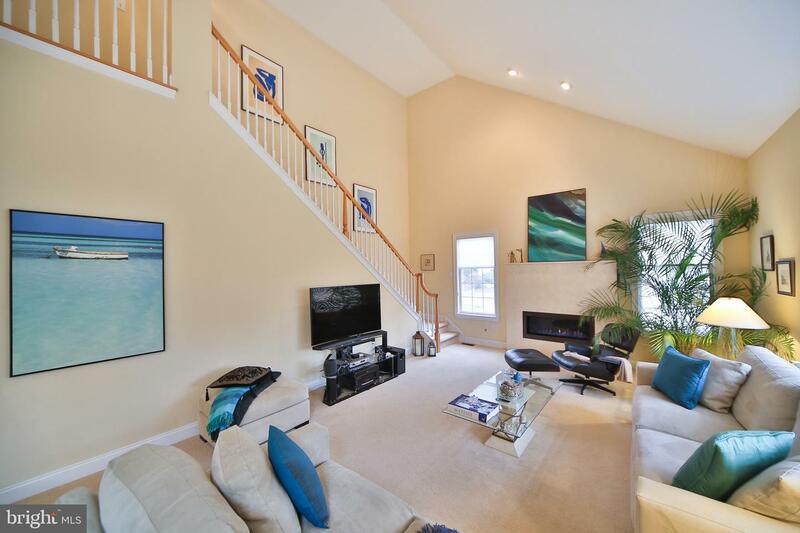 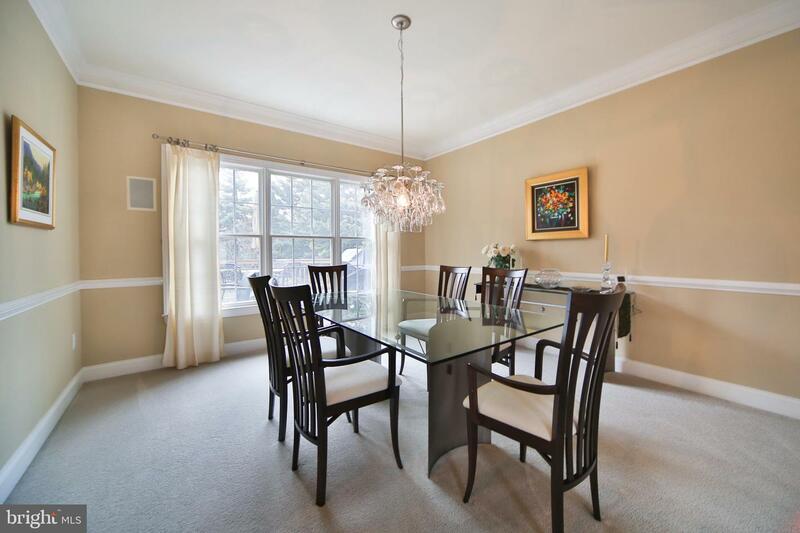 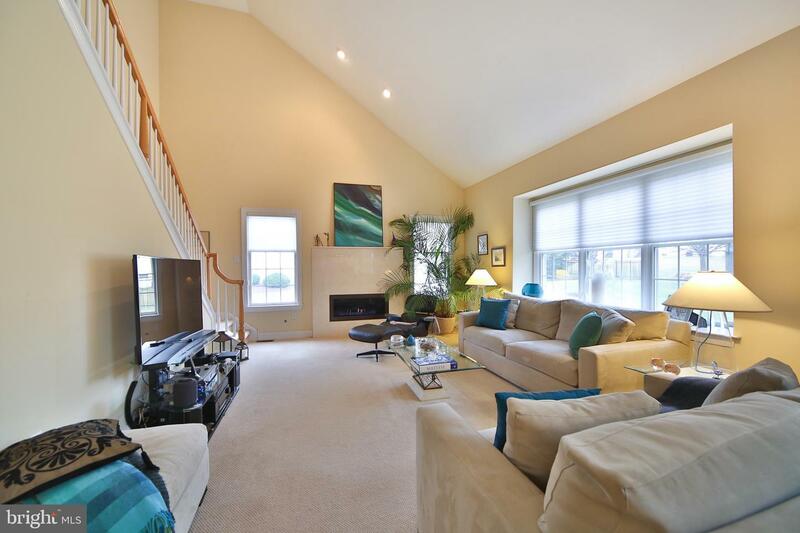 Living and dining rooms are neutral with 9~ ceilings and fantastic for entertaining! 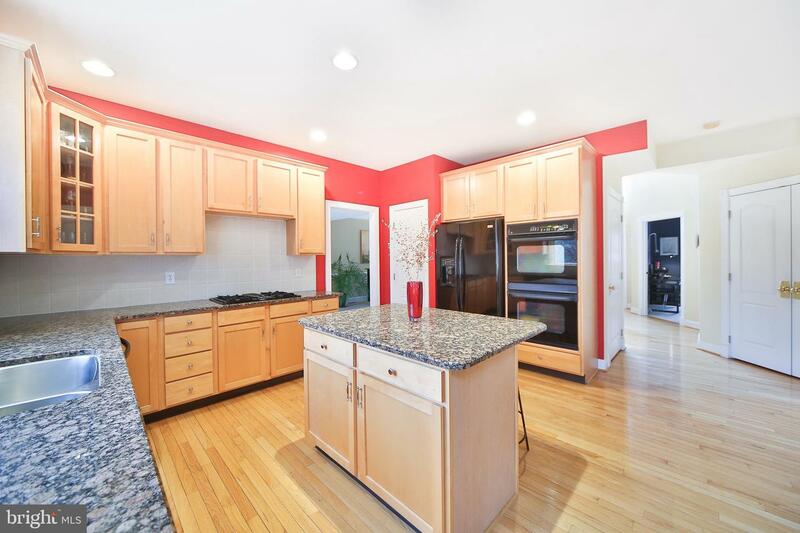 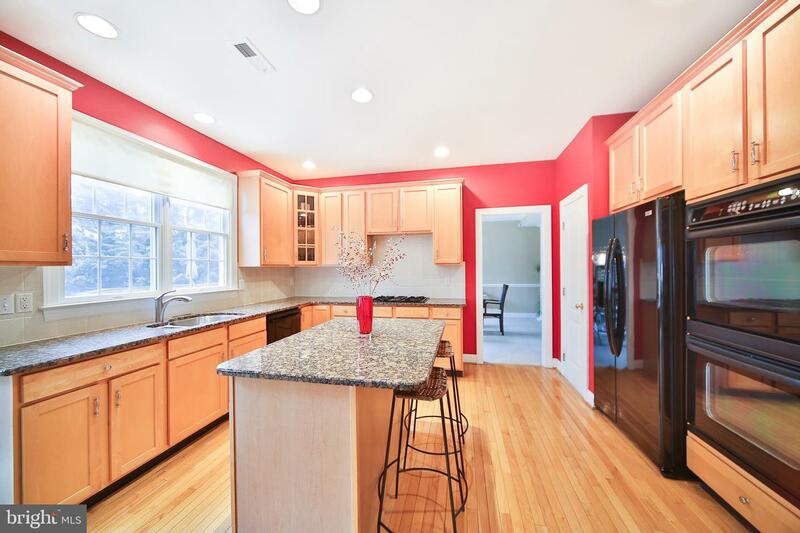 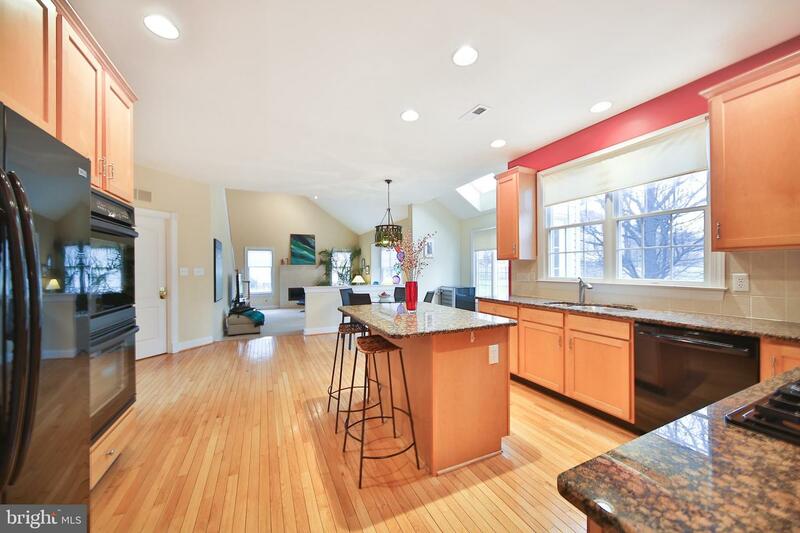 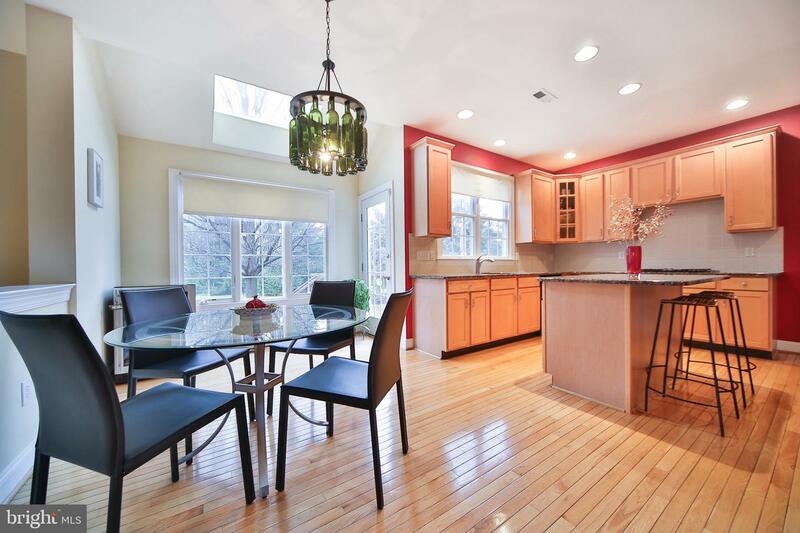 Kitchen also boasts hardwood floors and has been updated featuring granite counters, double sink, center island and separate breakfast area that leads to rear deck! 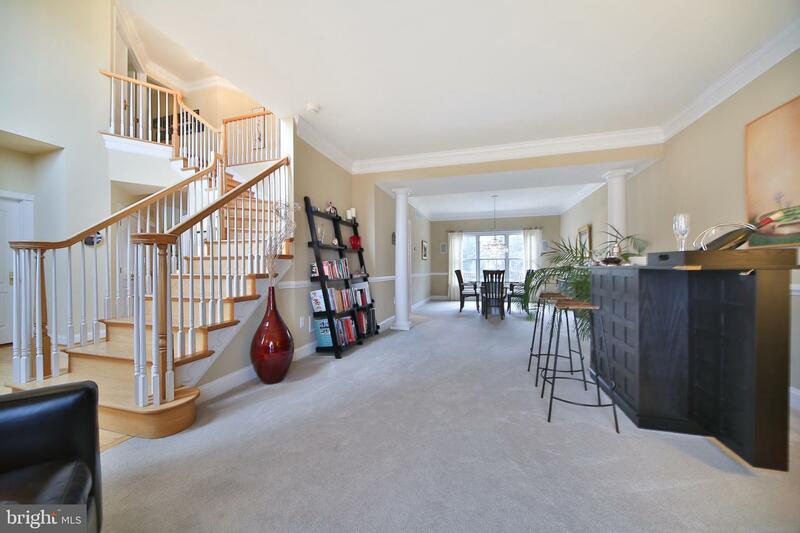 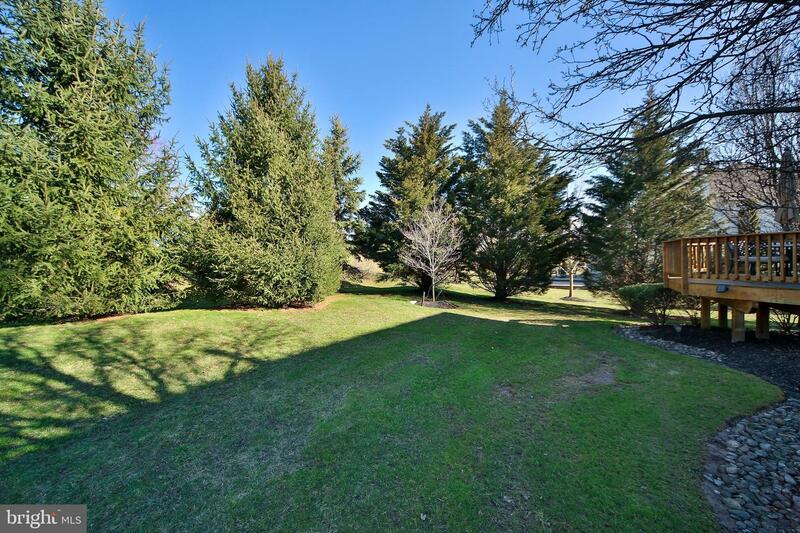 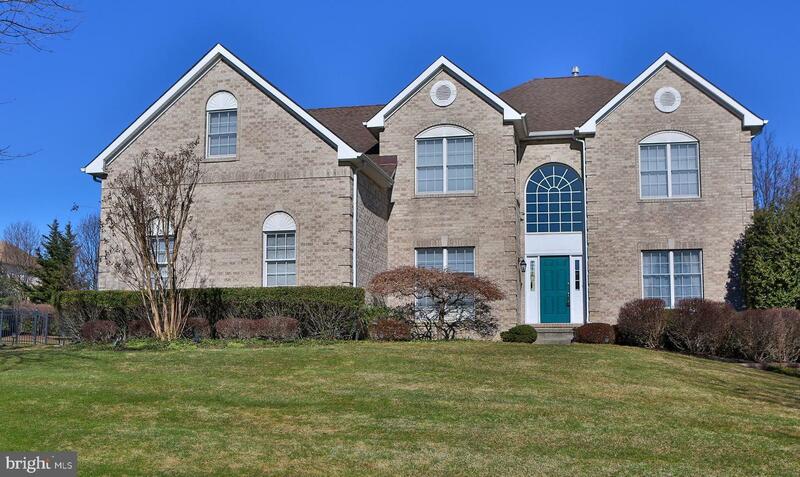 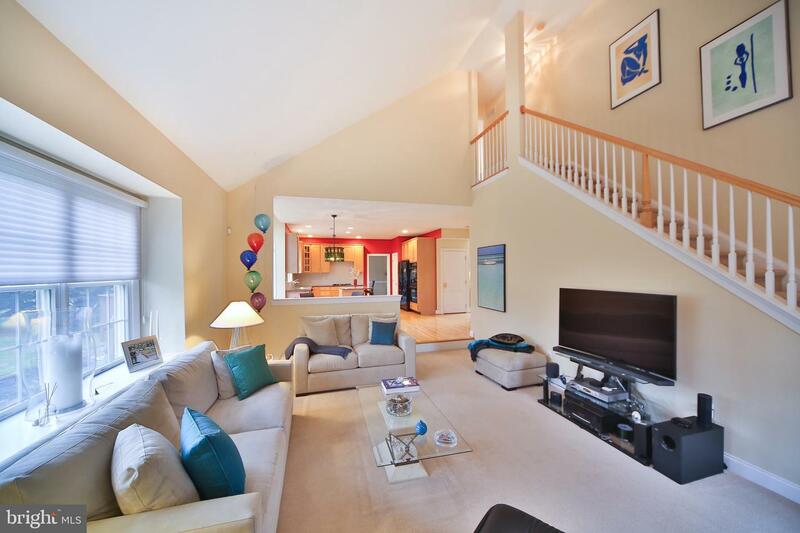 Step down into the spacious family room with vaulted ceiling, triple window, updated marble gas fireplace flanked by two windows for lots of additional daylight and a convenient rear staircase to the upper level! 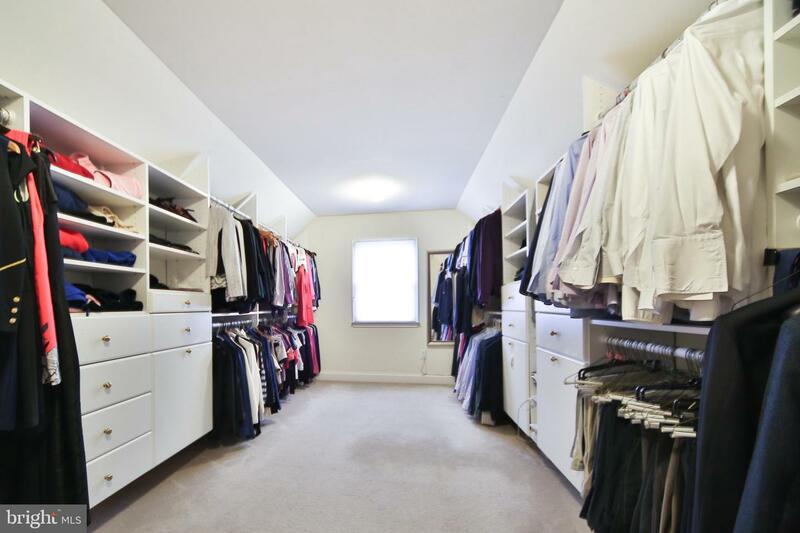 Main bedroom offers huge space for both respite and sitting areas and custom designed walk in closet is outfitted for the owner~s needs in keeping your clothing and accessories organized! 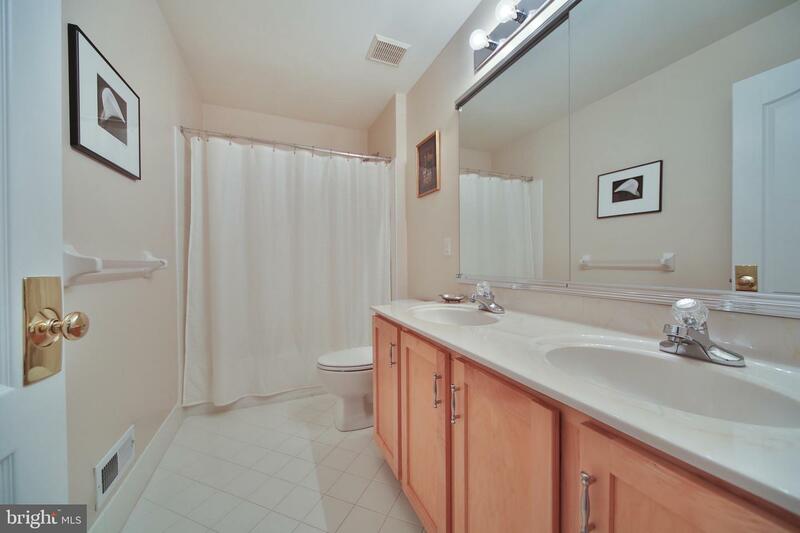 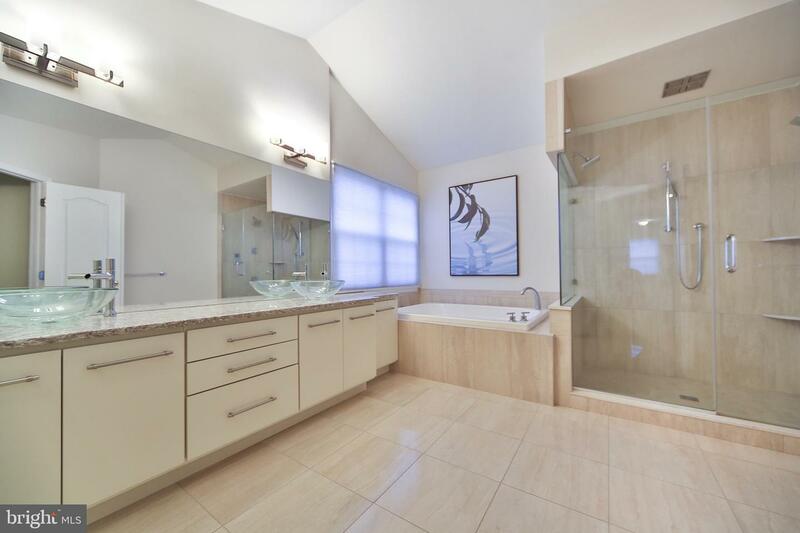 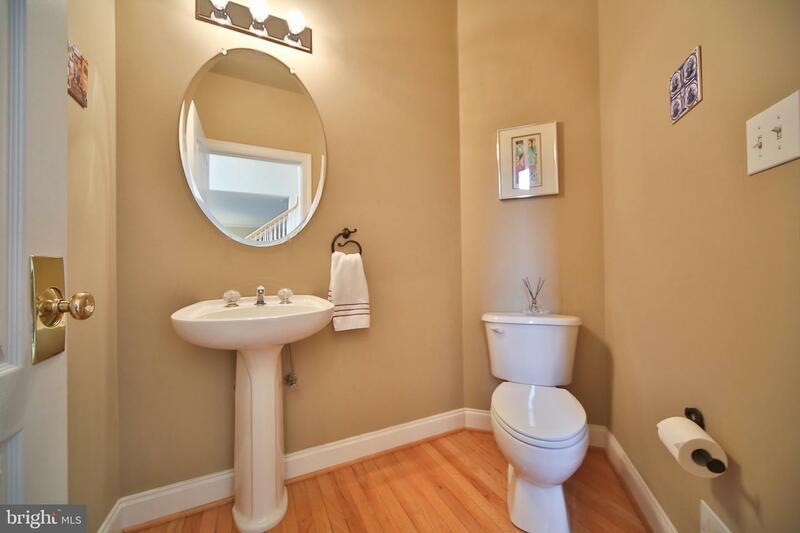 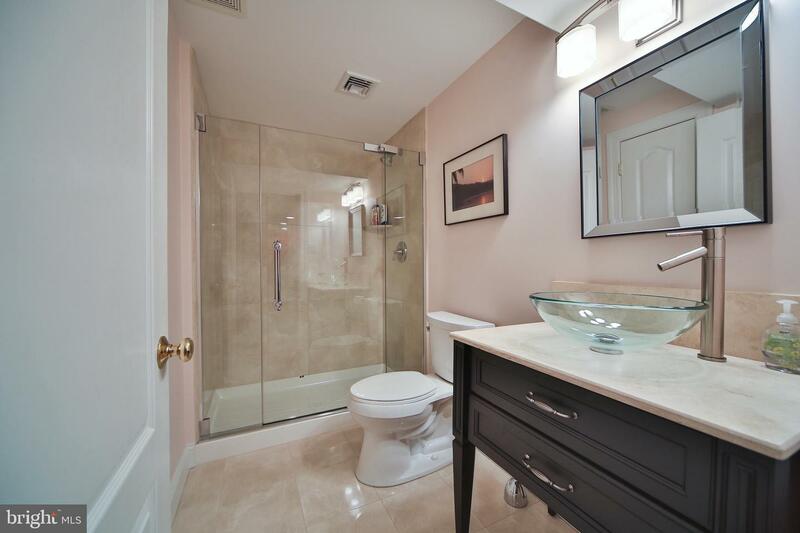 En-suite bath has been totally renovated and offers dual vanities, water closet, soaking tub and over-sized Kohler digital shower with rain shower head and frameless doors! 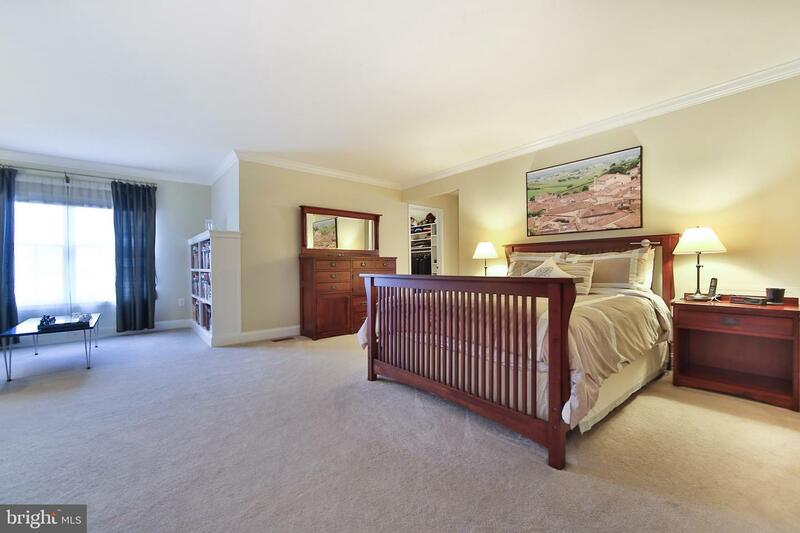 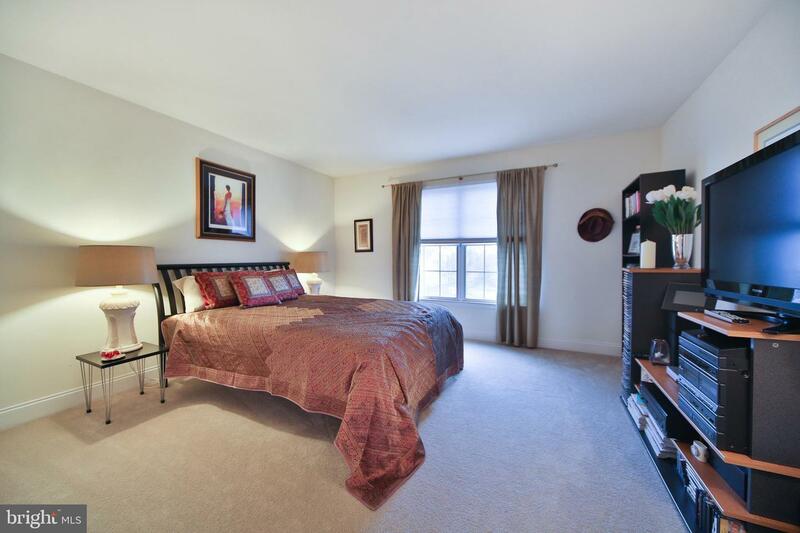 Additional bedrooms are generously sized and offer terrific closet space for its occupants and guests! 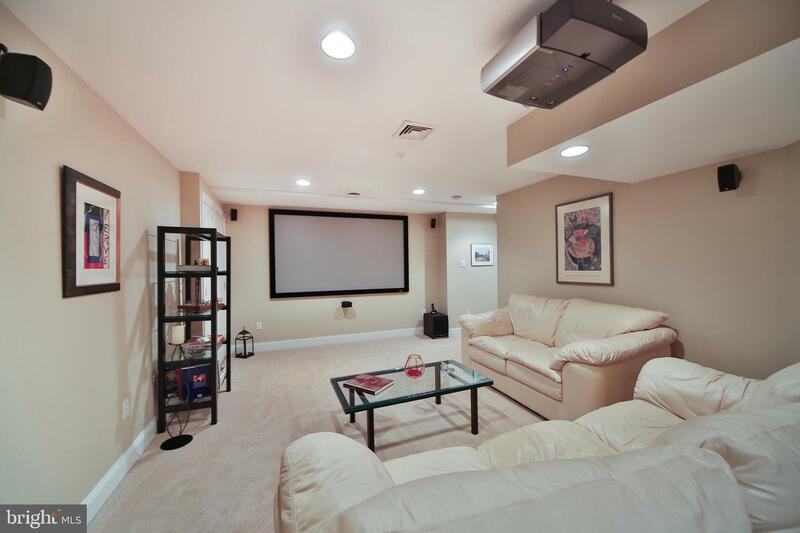 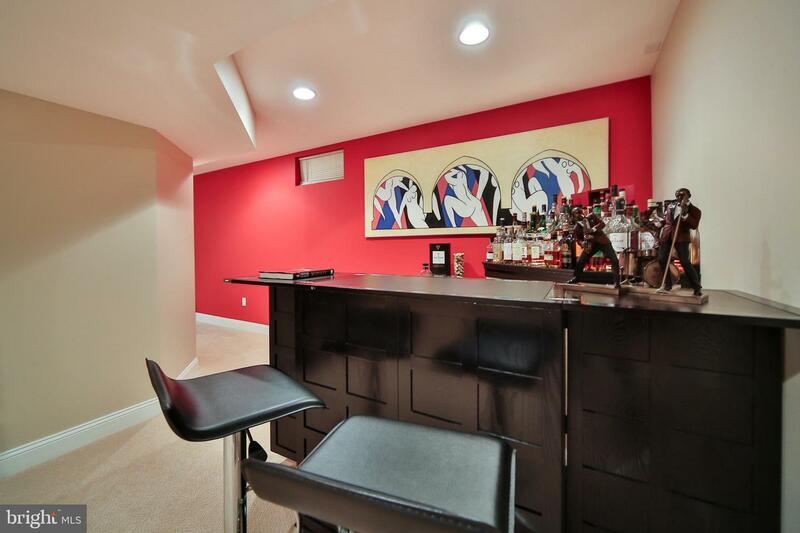 The crown jewel of this home is the lower level complete with home theatre screen, projector and surround sound speakers! 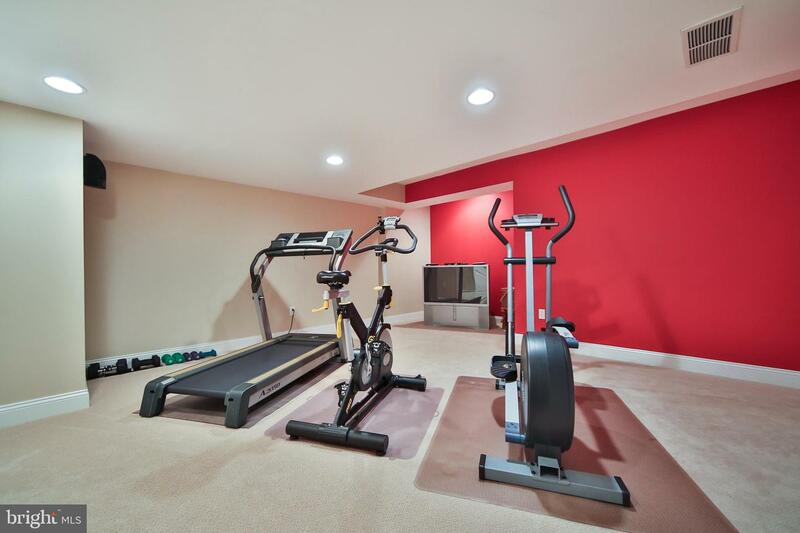 Finished by these owners, an exterior exit, additional workout space and full contemporary bathroom completes this level! 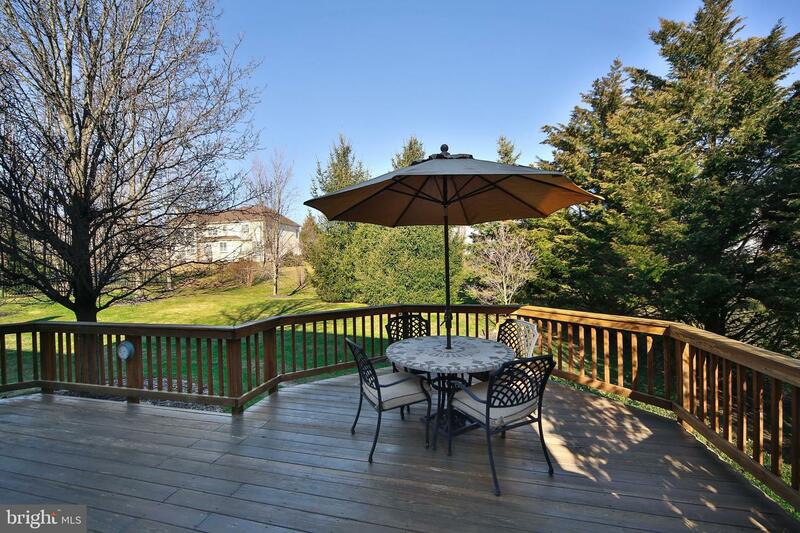 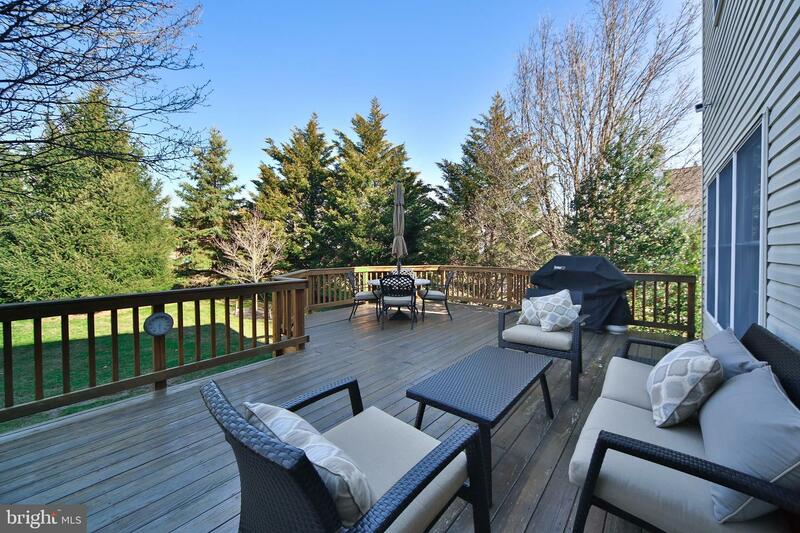 Outdoor space is comfortable, offering wonderful deck space, flat yard and beautiful flowering Bradford Pear trees for summer shade while dining and barbequing! 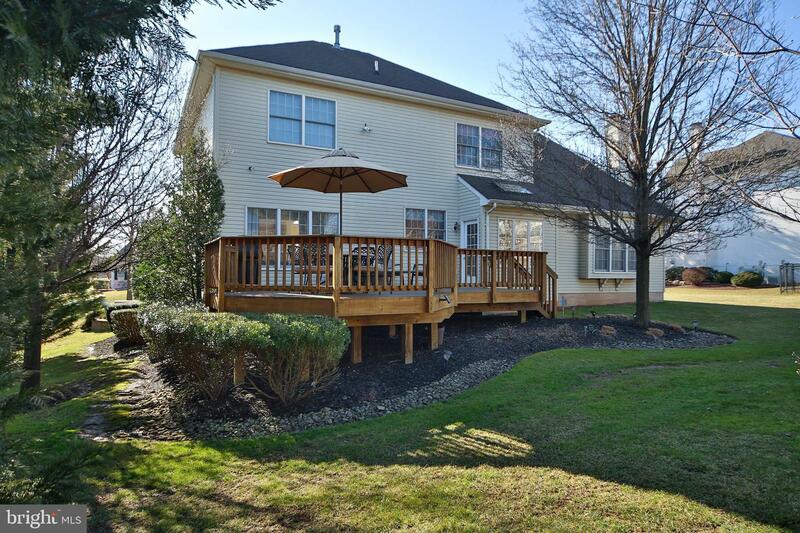 This home is complete with a 3 car garage, gas heating and cooking and new Hot Water Heater & HVAC system in 2017 and a whole house GENERAC generator system!